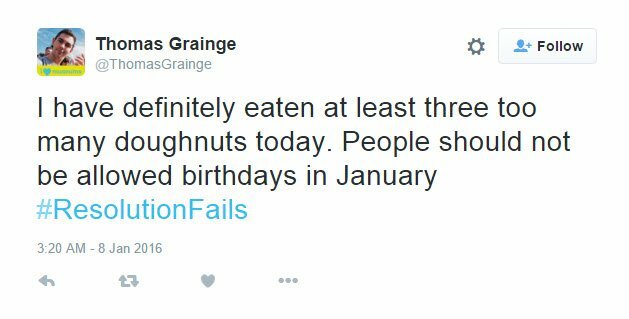 The hilarious # ResolutionFails sums up how we're all feeling. #ResolutionFails sums up how we're all feeling right now. 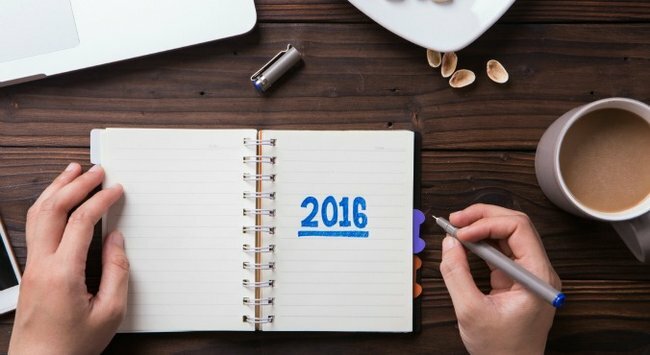 Today is the eighth of January… which marks exactly seven days since we made, and broke, our New Years Resolutions. Regardless of how vehemently you swear this year will be the year you finally achieve that lofty goal you’ve been setting yourself since 2008, sometimes it’s just not meant to be. And that’s perfectly okay. Plus, if it makes you feel any better, the latest trending hashtag on Twitter suggests you’re definitely not alone. #ResolutionFails pretty much sums up how we’re all feeling right now, particularly if your resolutions revolved around hitting up the gym or swapping burgers for broccoli. “Got ready for the gym, packed my gear… and went for a burger instead,” wrote Priya Kumar. An easy mistake to make, right? While many #ResolutionFails related to fitness and health, one Instagram user lamented the irresistible pull of an addiction we all know too well. "Welp.. my goal of less #netflix and more #friendship this year is not going well thanks to #makingamurderer," wrote @colinrox. Yep, we feel you. There&apos;s also another lesson to be learned from this — just how important punctuation is (and can be manipulated to your needs). #ResolutionFails we can all relate to. Don&apos;t feel too sheepish about it — even the strongest among us is prone to lapsing now and then. "My New Year&apos;s Resolution was to lose weight. Thanks to Schmidt&apos;s in Columbus, I&apos;m right on track," tweeted Arnold Schwarzenegger just five days into the New Year. We have no idea what that is, but it looks delicious. While these confessions certainly make for a good laugh, #ResolutionFails also serves as a timely reminder. Yes, making a list of goals you want to achieve is great, but it&apos;s not the be all and end all. Any day can be the day you start to make lifestyle changes, just as not changing anything — and enjoying that burger — is totally fine too. Is there a #ResolutionFail you&apos;re willing to share?